We believe you deserve a personal touch for your special day. We personally shoot and edit every wedding – we will not outsource your images. We make sure your voice is heard, and your photos are genuine to who you are. Your wedding images are meant to preserve one of your most memorable days. Your wedding day is for you. We want to spend time fostering a genuine friendship. We are a silly bunch, but we are deeply committed to providing you with extraordinary service. We aren't filter-happy people who own a camera, we are professional photographers who have spent years perfecting our trade. We understand every wedding is unique. We are transparent with our pricing - it shouldn't take 4 meetings, 29 emails, and 16 phone calls to calculate your investment. Right?!?! Call us at 210-771-6998, or use our contact form. 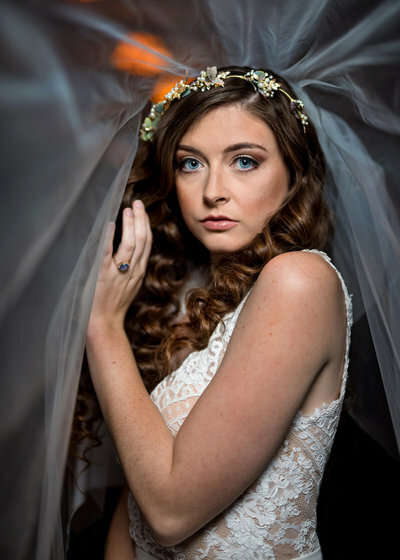 Heirloom quality album, 20 pages/40 sides, 10"x10"
​Boudoir, Bridal, or Engagement Session: $395 per session – one hour of photography at one location, a 16"x20" heirloom print, digital editing, and a private, online gallery. Separate from a collection, the price is $475. Heirloom Album: $875 – leather bound, heirloom quality, 20 pages/40 sides, 10"x10" album. Separate from a collection, the price is $1200. Additional Hours: $395 per hour may be added to any collection. ​"By the Hour" Coverage: $495 per hour – for smaller, shorter weddings; includes one photographer, a special assistant, and flash drive with edited images. Minimum of two hours. Digital images – edited, enhanced, and delivered online: Included with a collection. Separate from a collection, the price is $1750. We offer them! Discounts are only applicable for the bride and groom. All images displayed on this site are protected by copyright ©2007-2019 Shelly Beck Photography/Spirit-Pix by Shelly Beck. All rights reserved. Your images are captured in a raw color format. After your wedding, we handpick the final images and work with each selection to bring it to its fullest potential. The final images are then presented in a password protected gallery. Bridal couples should anticipate 50 images per booked hour. Portrait sessions will produce 5-15 images per booked hour. We are not obligated to give a client any images that are not already presented to them. We will not release any images that were not included within the final set of final images, because they were neither created nor intended as final products – they simply enable us to work out issues to ensure you receive the highest quality images. Images may not be reproduced anywhere, for any reason, or in print without permission. Proper photography credit must be given at all times to Shelly Beck Photography. A USB drive of your edited images will be provided for booked wedding photography. The USB drive comes with printing rights for printing at a lab, with quantity of your choice. Receiving the USB drive with your images does not provide copyrights, or release the copyrights of Shelly Beck Photography, LLC. Copies may not be made from purchased prints. This is a violation of the copyright laws and is considered illegal. We would greatly appreciate your respecting the copyright laws and our talent. Most of the locations and props pictured are privately owned and not available for all sessions. Please inquire about locations that are available for your session. Session times start at the preset appointment time. If you are late, it will cut into the allotted time. We understand emergencies occur and am willing to work with these on an individual bases. Deposits paid to reserve your session are for our time, and are not refundable. Wedding Collections or Portrait Packages may be amended to fit your needs. Portraits, excluding wedding sessions, take approximately two weeks post production work before being available on our website. Wedding images are approximately six to eight weeks in post production before being available. Photo shoots extending past the arranged time will be charged at a rate of $175 per thirty minutes; minutes will be rounded up to the next half-hour. Heirloom prints include color correction of each image and special paper finish options. Shelly Beck Photography must be given photography credit on all social media posts.